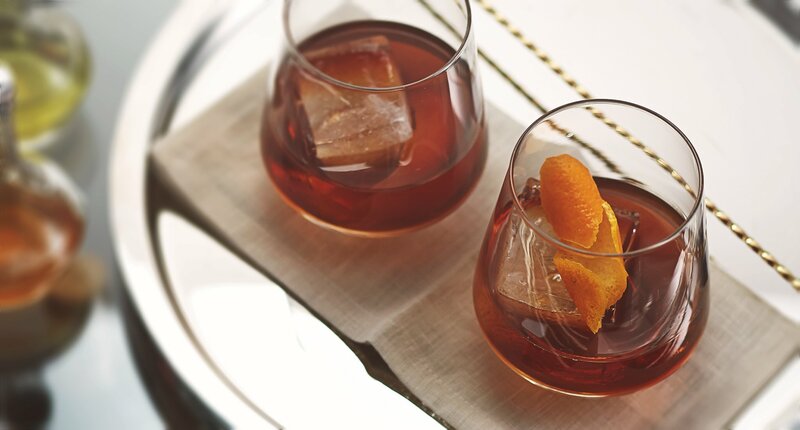 Some people say that the Old Fashioned is one of the first cocktails ever created. It’s a light, refreshing tasting, yet complex combination of Bulleit Bourbon, sugar and bitters. 1 - Add two bar spoons of simple syrup, three dashes of bitters and Bulleit Bourbon to a large rocks glass. 3 - Stir gently until the level of the ice and liquid equalize. 4 - Zest an orange peel over the glass then add the peel to the drink as a garnish.